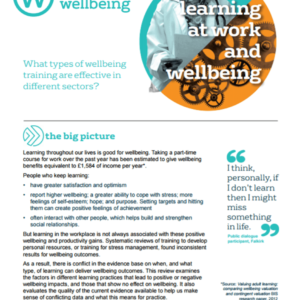 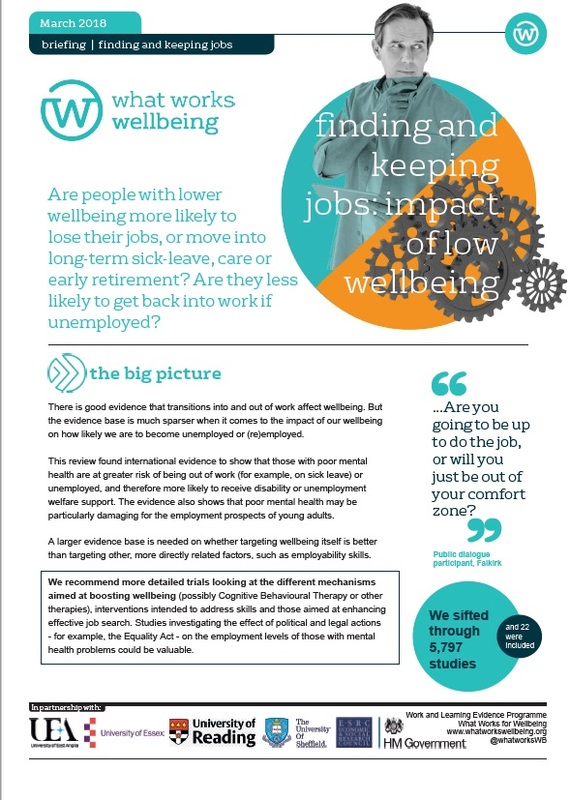 Are people with lower wellbeing more likely to lose their jobs, or move into long-term sick-leave, care or early retirement? 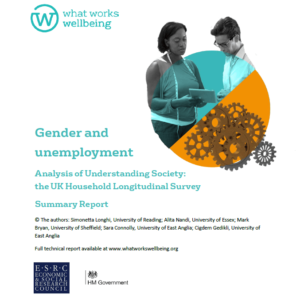 Are they less likely to get back into work if unemployed? 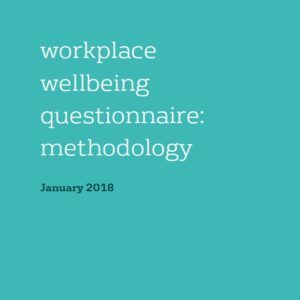 Wellbeing and mental health are distinct issues, and this review looked at both. 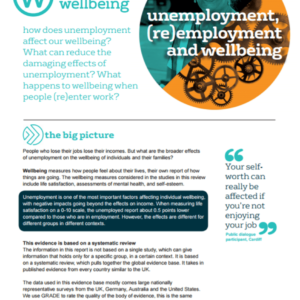 This review found international evidence to show that those with poor mental health are at greater risk of being out of work (for example, on sick leave) or unemployed, and therefore more likely to receive disability or unemployment welfare support. 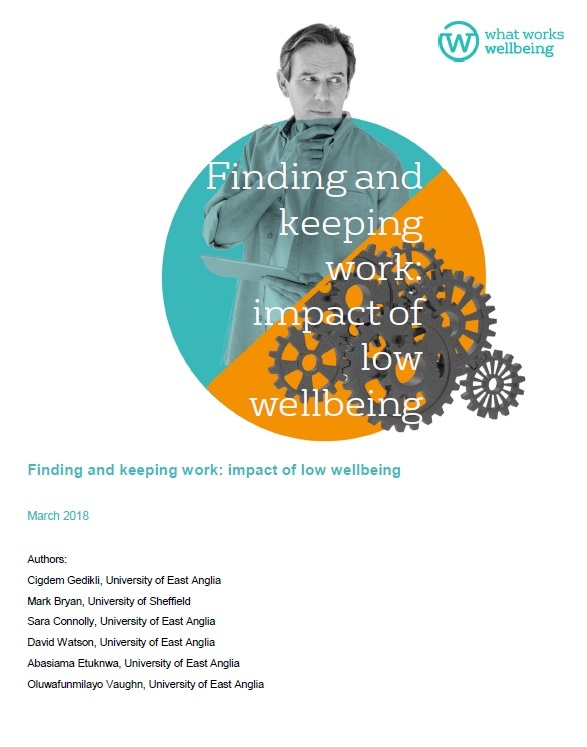 The evidence also shows that poor mental health may be particularly damaging for the employment prospects of young adults.